Oakland Catholic Worker is a nonprofit hosting Latin American immigrants in the East Bay community. The Oakland Catholic Worker serves multiple purposes. For the guests who cross our doors, it's a shelter. For our East Oakland community, it's a consistent place to receive meals and groceries. For our staff, it's a home and community. For 30 years our organization has provided temporary housing for Latin American immigrants and served as a destination for giving back to our community. Our staff and volunteers bring our mission to life, and our gracious donors keep our mission strong. As we serve our community, we're calling upon our friends, neighbors, and colleagues to donate and spread the word about our building project. Most of the renovations of the house are mandatory. We have a range of tasks to complete, such as repairing the dry rot damage to the front of the building, replacing the roof, and installing a central heating system--which we have never had throughout the 30 years we have been doing this work! We're grateful to our loyal sustainers who continue to bless us with their consistent gifts. In this special time of need, we want to encourage you to give what you can. 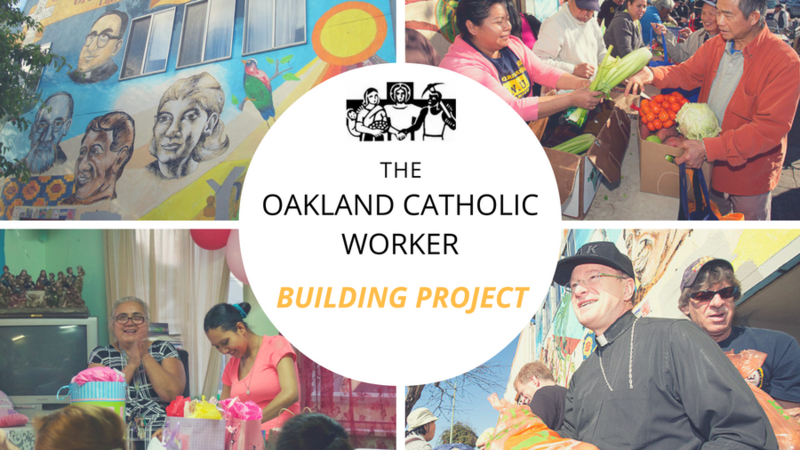 Whether you are a friend of the organization, a curious soul, or you discovered us online, your donation is paramount to continue the work and legacy of the Oakland Catholic Worker.